It’s important your links are working properly to ensure a good user experience. After all, if you tell a reader to click on a link in your Resource Box and they land on a 404 error or worse, they will not politely inform you that your link isn’t working. Instead, due to their frustration, they will simply leave. All of the links in your published articles are tested daily to ensure they’re responding properly and don’t contain dangerous malware. If a link is flagged in our system two days in a row because it’s either broken or unsafe, it will be displayed in the Article Diagnostic Center of your My.EzineArticles.com account. You will also receive an email notifying you to resolve the issue ASAP. If links in the Article Diagnostic Center are not addressed in a timely manner, they will be deactivated in order to maintain a good user experience. 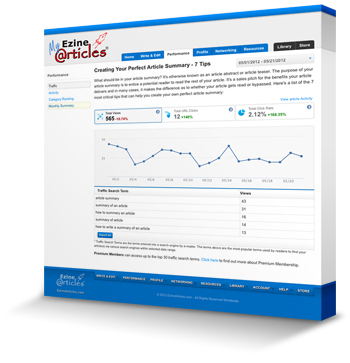 Add an attractive splash of color to your site, increase your credibility, and drive traffic to your articles – all at the same time with your own exclusive EzineArticles Author Banner. 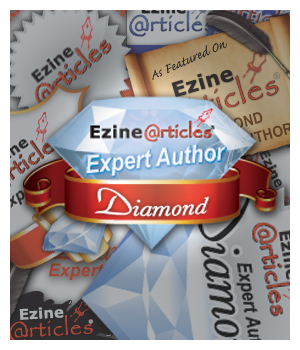 Expert Author banners are specially designed to attract attention and lead your website’s visitors to neutral, third-party site: your EzineArticles Expert Author profile. 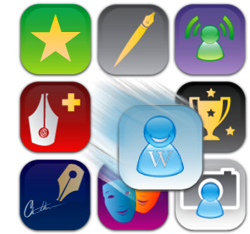 Featuring you, your articles, your professional sites, your social media sites, your achievements, and your professional photo gallery, your EzineArticles Expert Author profile increases your brand exposure across multiple platforms and builds trust. Even if your website’s visitors don’t click on the banner on your website to visit your Expert Author profile, the banner amplifies your credibility as an authority in your niche. 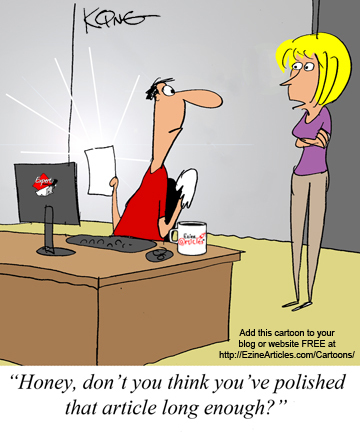 Ever wonder why you had the option to upload professional photos using your EzineArticles Expert Author account? In addition to your Expert Author Photo*, professional photos increase transparency, credibility, trust, and exposure. Take a moment to imagine yourself as your reader: You’ve just finished reading an article on EzineArticles.com. You’re not quite ready to dive into the links the author has provided in the Resource Box so you decide to click on the author’s name to learn more about them on their Expert Author Profile page. As you browse this page to discover more about the author (and to determine whether they’re legit), you find a brief bio, articles, niches, achievements, links, and finally, the Professional Photos gallery. Nurture relationships with your visitors on your website or blog and grow your fan base with the Author Alert Signup Box! 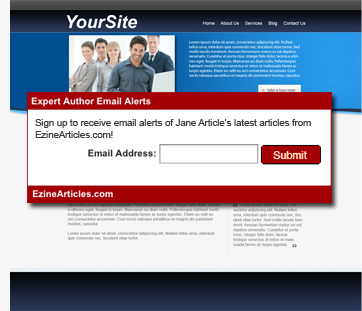 The customizable Author Alert Signup Box allows your fans to sign up directly on your website to receive an email alerting them when a new article of yours is published on EzineArticles.com. Here are the steps to easily create an Author Alert Signup Box for your website or blog. Wondering what are the components to an effective Resource Box? What are publishers looking for? Does keyword research and long-tail title writing confuse you? The Training Series can answer all of these questions and more! Whether you’re new to article writing or an experienced Expert Author looking for additional insights, the PDF Training Series can help you cultivate writing skills at your own pace as well as be delivered straight to your inbox. Get ahead of the competition and gain the attention of readers by refining your article writing efforts! 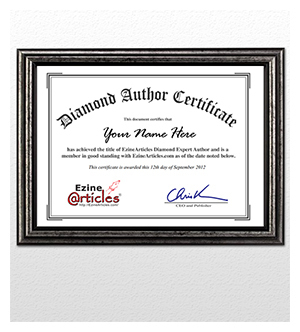 As you submit articles and are active on My.EzineArticles.com, you earn achievements and awards in the form of badges. Collecting badges shows how active you are as an Expert Author as well as contributes to your credibility. In all the hullabaloo of your daily Internet activities, you may forget to update your EzineArticles account information. Updating your account information is important. If your information is out-of-date, opportunities may pass you by. Use this checklist to ensure your account information is up-to-date, your Expert Author Profile is accurate, and your links are functioning properly to open the door to opportunity. First, a little housekeeping: Log into your My.EzineArticles.com account and visit the Settings section of your author name dropdown menu. Want to get a higher return on your article writing time investment? Let your traffic search terms be your guide! Your article’s traffic search terms are not necessarily the words you used in your published articles keyword field. Traffic search terms are the keywords visitors used to find your article. The traffic search terms listed on each of your article’s performance “Traffic” summaries are a key indicator to the success of the article as well as the overall success of your article writing efforts. These terms are highly relevant to your audience. By using your traffic search terms as a guide to new quality, original articles, you can get a higher return on your time investment.